Here we are again. 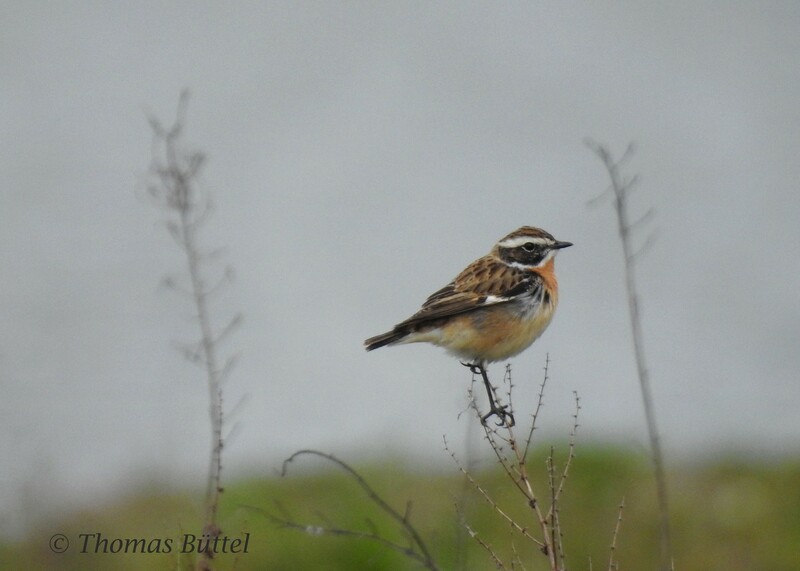 Every day now thousands of migrants come through and also the number of rarities increases from time to time. Well, perhaps not here in Bamberg but especially at the Altmühlsee some remarkable birds were spotted like two Black-necked Stilts and a Sandwich Tern. The last days have however been quite uneventful around Bamberg, mostly because I'm rather busy at the moment. Nevertheless, I spent an evening in the Luisenhain to find the potential Collared Flycatcher again, but was shocked that there were only two Pied Flycatchers. Perhaps next time. After a long break I also went to the Kreuzberg again, which I had neglected for some time now. 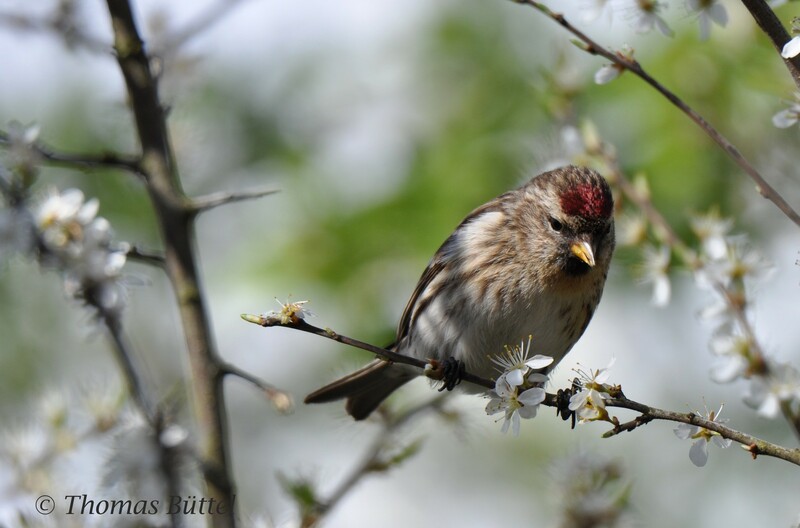 Highlight was a Lesser Redpoll, that got surprisingly close to me. However, apart from that my walk didn't produce much of interest. 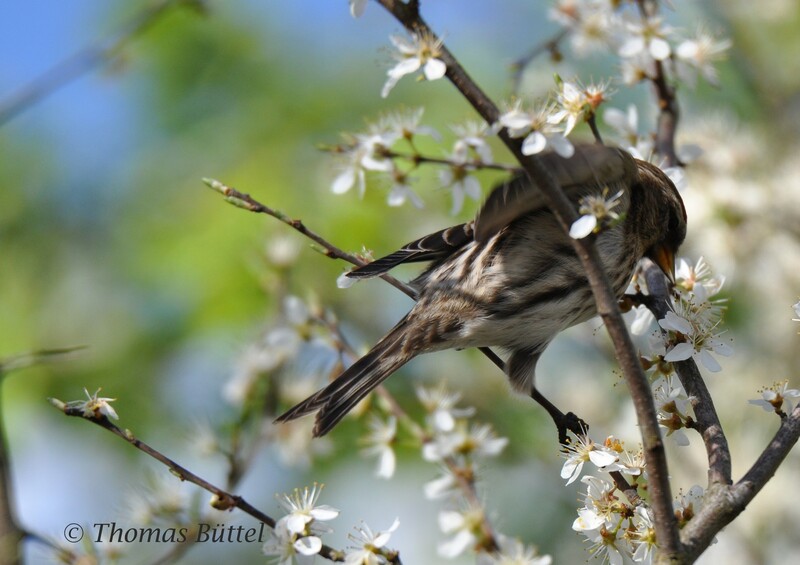 In this respect I'm a bit disappointed, because everywhere else large numbers of long-distance migrants have already arrived like Golden Oriole or Ortolan Bunting. A few days later I finally managed a tour to some quarry ponds north of Bamberg, where I hoped to connect with the first Black Terns and Little Gulls, but was again disappointed. In fact, the lakes were all rather uninteresting and the trip would have almost been a blank. 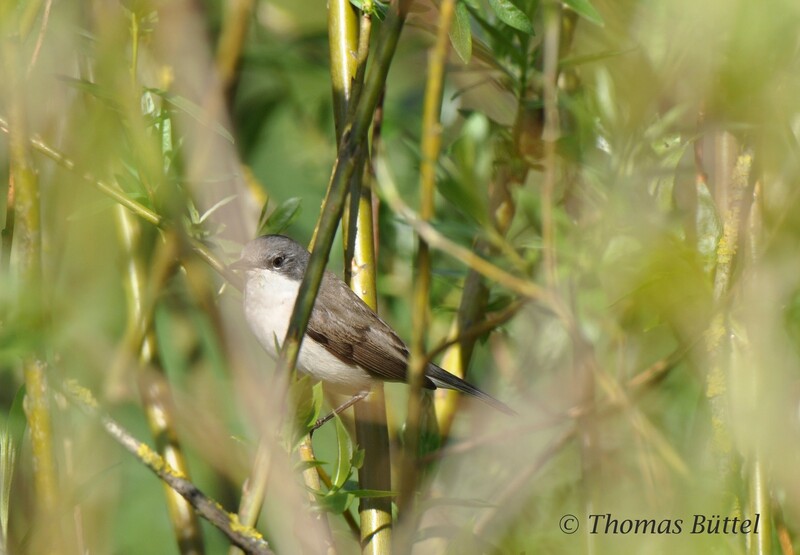 At least the bushes were filled with birds: Willow Warblers, Blackcaps and Lesser Whitethroats are now rather abundant and were joined by my first Common Whitethroat and Nightingale of the year. Fortunately, I walked the path at the shore of the last lake to its very end, because otherwise I would have missed two Lapwings and a Little Ringed Plover, that had been hidden behind a peninsula. 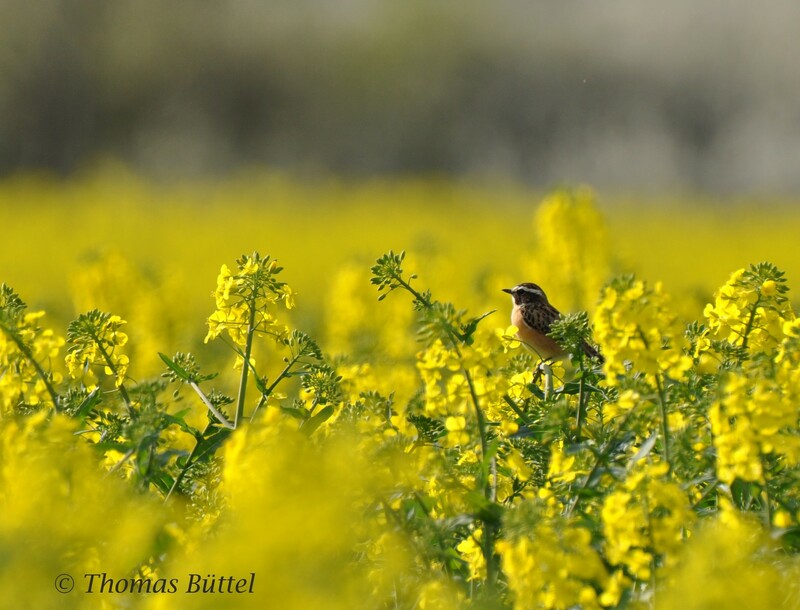 On the way, suddenly dozens of Sand Martins were flying around and in the rapeseed fields Whinchats and a complete out of place Bluethroat were singing. 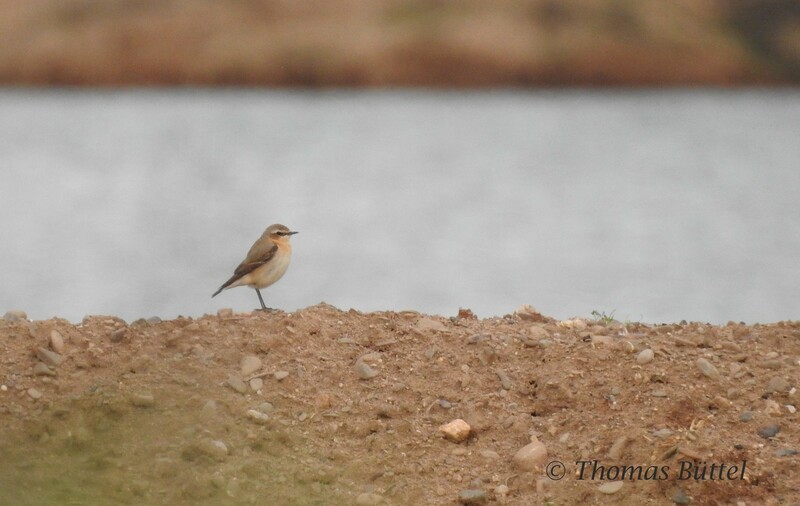 The crowning glory were some Northern Wheatears, that were resting at the southern shore of the lake, my first ever spring record! So far, I had only had luck with these in the autumn. It's really amazing how the world can change in five minutes. And with these last five minutes the day ended with five new species for the year list. Definetly not bad. It looks like I left Germany too early! 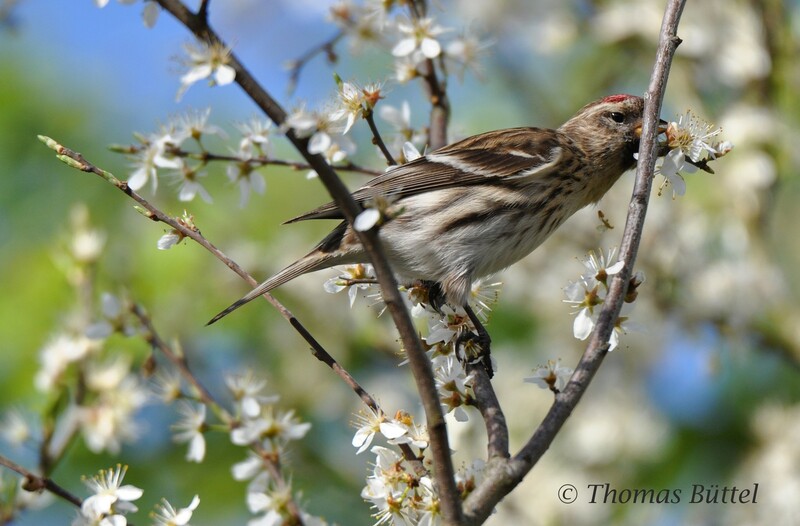 All the spring migrants sound amazing and I especially love the photos of the Lesser Redpoll, much better than mine. Thank you! You're right, in this very week, when you left Germany, migration actually became interesting.